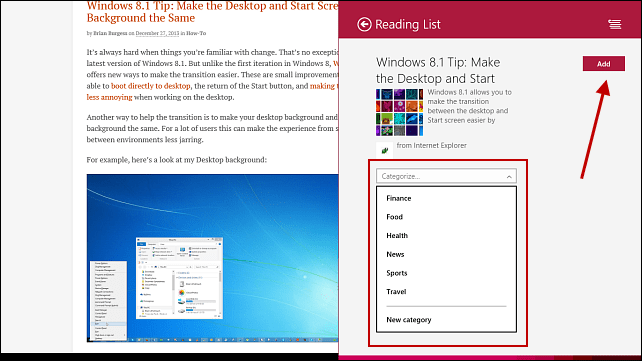 The Reading List app in Windows 8.1 allows you to collect articles from other apps like News or Internet Explorer 11 to read later – even while offline. 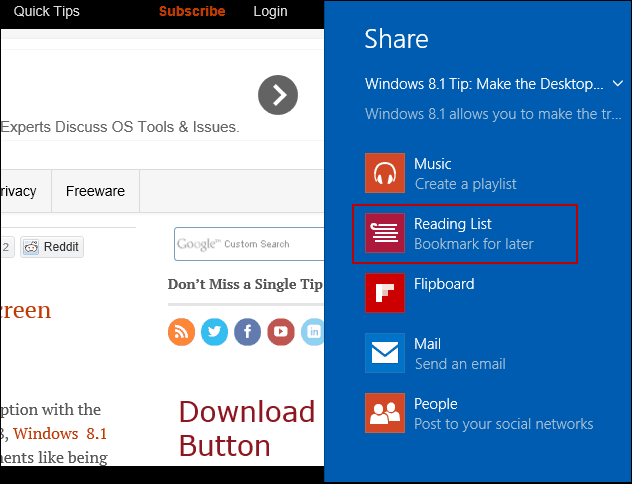 Windows 8.1 has a cool new app that allows you to collect articles that you share from apps like Internet Explorer 11 or Maps to read later – even while offline. 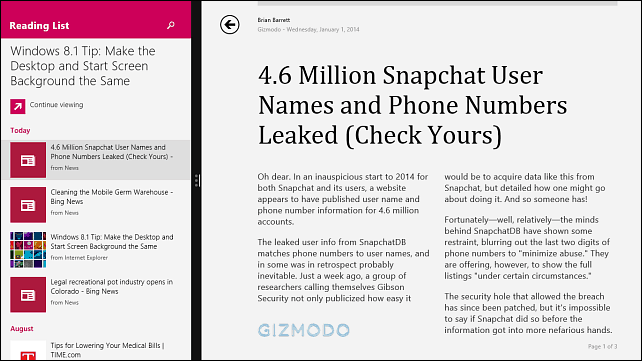 It syncs your saved articles through SkyDrive so you can read them on other Windows 8.1 tablets and devices too. One caveat is it’s not compatible with Windows Phone 8, but according to some Microsoft Community Forums, it might be included in a future update for Windows Phone. Using Reading List is easy and straight-forward. It works with a lot of other built-in Microsoft apps, but not all. 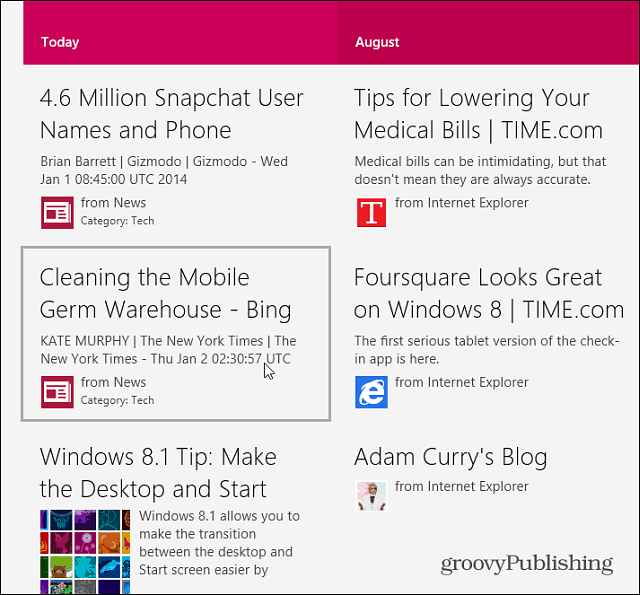 Here’s a look at how to use it in the News app and IE 11. Open the modern version of IE 11 then bring up the Charms bar and select Share. 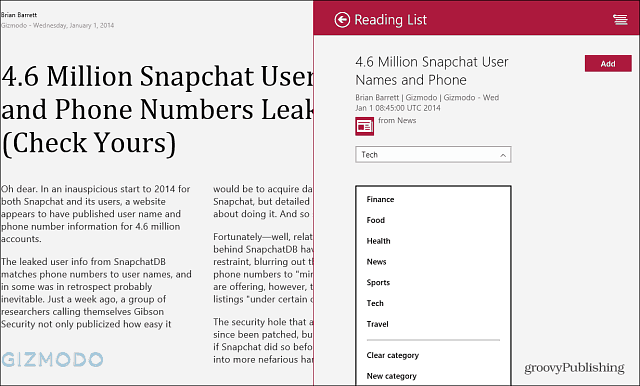 That will open a list of other apps and services you can share the article or page with. Select Reading List. Next you’ll have two screens. One with the article you want to save, and Reading List on the right. A fairly new feature added to Reading List is the ability to organize articles and pages in categories. You can also create your own categories. After categorizing the story, select the Add button. That’s all there is to it really. As I mentioned previously, you can save articles from the News app too. The process is the same, hit the charms bar, Share, then Reading List. 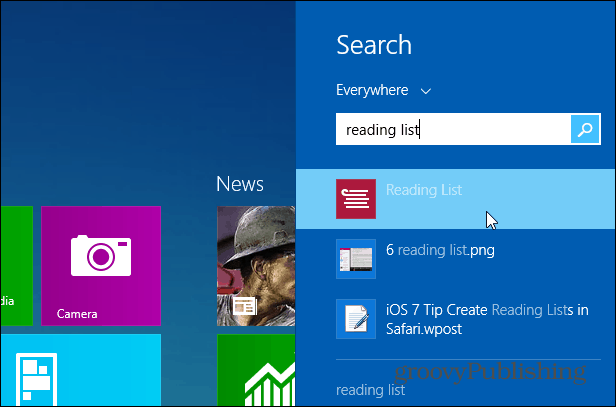 When you want to read the articles you saved later, just search for the Reading List app tile. By default in Windows 8.1 it’s probably listed under the Apps list view. Of course you can simply type: reading list from the start page and find it. 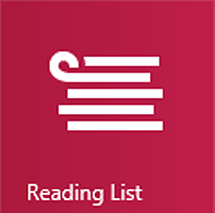 When you launch Reading List, you’ll see your collection of articles, what the category is, the app or site it came from, and the date it was saved. And as long as you log into other Windows 8.1 systems with the same Microsoft Account, your articles are synced, so they will be ready for you on whatever 8.1 machine you’re using. Just select an article you’re ready to read and the screen will put your article list on the left, and the full article in the right pane. 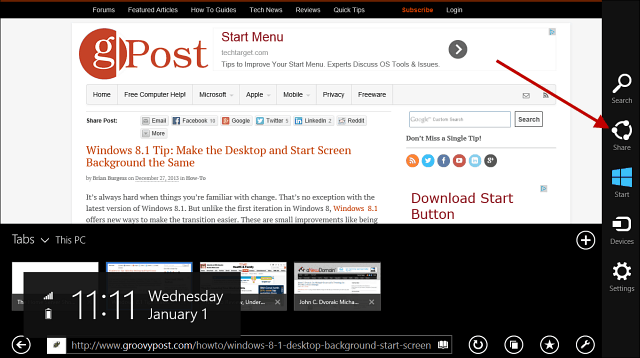 It’s a similar layout when Windows 8 had the Bing app and IE 10 which I previously covered. But just remember, in Windows 8.1 you’re not stuck with that 75 / 25 screen split. When snapping windows, you can make them 50/50 or virtually any other size split that works best for you. Obviously this feature is best suited for the modern UI and devices with a touch screen like the Surface. But you can still use it on a traditional PC if you want. Give it a shot and let us know what you think about it in the comments! Another nicety you should check out in Windows 8.1 is Reading View in Internet Explorer 11. It makes reading long articles while online easier.